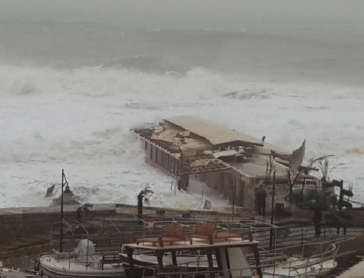 HOW IS BYBLOS BECOMING MORE RESILIENT? About 100 Resilient Cities 100 Resilient Cities – Pioneered by the Rockefeller Foundation (100RC) is dedicated to helping cities around the world become more resilient to the physical, social and economic challenges that are a growing part of the 21st century. 100RC supports the adoption and incorporation of a view of resilience that includes not just the shocks – earthquakes, fires, floods, etc. – but also the stresses that weaken the fabric of a city on a day to day or cyclical basis. By addressing both the shocks and the stresses, a city becomes more able to respond to adverse events, and is overall better able to deliver basic functions in both good times and bad, to all populations. The City Resilience Framework provides a lens through which the complexity of cities and the numerous factors that contribute to a city’s resilience can be understood. 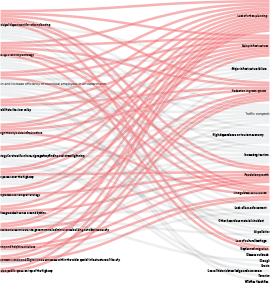 It comprises 4 dimensions and 12 key drivers. Byblos is known to be one of the oldest continuously inhabited cities in the world; a Phoenician city, inhabited since Neolithic times with evidence of human settlements dating back more than 7,000 years. As such, the city is already a testament to resilience. We want to embrace our challenges, and build resilience to maintain the city’s existence for the next 7,000 years. Ancient Byblos was a major port, trade hub and center of learning; the founding of the modern alphabet by the Phoenicians earned the city its name - Byblos – which comes from the Greek for papyrus. 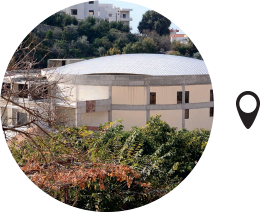 Modern Byblos – or Jbeil – retains a strong sense of its heritage; home to the internationally distinguished Lebanese American University (LAU) and renowned for its diversity of cultural and religious traditions. The city has been recognized as a UNESCO World Heritage site since 1984. Despite a long and destructive civil war in Lebanon (1975-1991), the city of Byblos has remained largely unaffected by unrest in other parts of the country. Then as now, the city is proud of its long tradition of multi-faith tolerance and ethnic coexistence. In the wake of current conflicts in nearby Syria and Iraq, efforts are now underway to ensure that the pressures placed upon the city’s services by an influx of refugees and migrants do not negatively affect the peacefulness and tolerance that have characterized the city for so long, but become an opportunity for the city in the future. Challenging events such as these should not damage the city’s image as open, tolerant and diverse. Among others, these factors provide a contextual underpinning to the development of the resilience strategy. We have already successfully implemented many initiatives to develop our city’s resilience, taking advantage of opportunities and partnerships on the national and international levels. We will build on these positive beginnings as we take forward our strategy for resilience through to 2030. Completion of a preliminary transport capacity study with the city of Carcassone, France, to begin planning an effective transit system for Byblos. Participation in the UNISDR Making Cities Resilient campaign, along with four other Lebanese cities, focused on preparing for and responding to emergency. Participation in the MED-3R solid waste management project to identify suitable urban waste strategies. Creation of a multifunctional public park for the dual benefits of recreation and environmental management. This project won a prize in Barcelona for its landscape design. 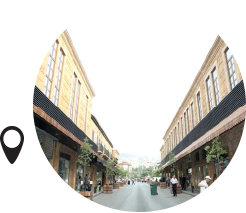 Restoration of the souk façades in the Old City, financed by Byblos Bank. 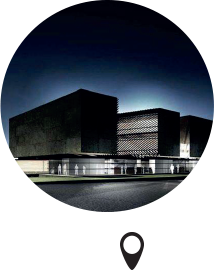 Development of a Cultural Center for Byblos, together with the Ministry of Culture. Construction of a new municipal building, creating an iconic community center bridging the Old City and the newer part of the city east of the main highway. Installation of parking meters, electric shuttles and pedestrian footpaths in the Old City to reduce traffic congestion. Construction of a sports complex for community use, funded by the association of Carlos Slim and suitable for local recreation as well as international sports events. Participation in "War Free World Heritage Listed Cities", focused on defining risk preparedness plans and risk mitigation measures for the city of Byblos in Lebanon and Mtskheta in Georgia. It aimed at developing a strategy to create the required conditions for both Byblos and Mtskheta to be candidates for enhanced protection status to UNESCO. 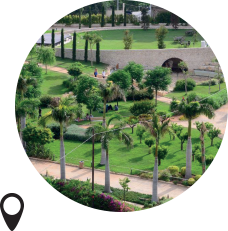 BY HONORING THE PAST and ADAPTING TO THE FUTURE, BYBLOS WILL DYNAMICALLY EMBRACE ITS HERITAGE WITH INNOVATION AND BUILD ON ITS DIVERSITY TO BECOME A PIONEER CITY IN THE MEDITERRANEAN, WHICH IS A DESTINATION FOR CULTURAL EXPLORATION AND FUN. 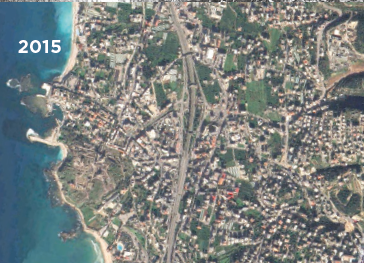 Byblos is a coastal city vulnerable to numerous shocks and stresses – physical, environmental, economic, societal and political – that will affect the city’s assets. Over the last few years, the city has been implementing actions to mitigate our known risks. Now, in the face of additional challenges facing our city, country and region, we need to do more. Byblos selected to join the first 33 cities in the 100 Resilient Cities program. Agenda Setting Workshop represented the first significant opportunity for 100 Resilience Cities to engage the Byblos municipal government and key stakeholders following the city's selection. The workshop primary function was to start a dialogue between 100 Resilient Cities and key stakeholders on Byblos' resilience context, shocks and stresses and interdependencies. 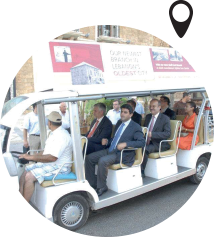 Stakeholders included Byblos Municipal Council leader, government ministries, police, NGOs, academic institutions, and civic societies. The launch was held at the Cultural Center in Byblos, bringing together city stakeholders from the municipal government, private sector, academia and civil society. The objective of the launch was to introduce the resilience strategy development process and publicly launch the strategy by the Mayor of Byblos. 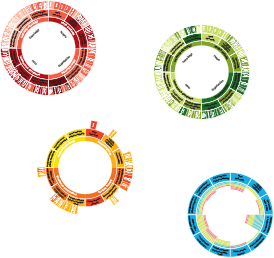 Designed to establish the city’s immediate and long term resilience challenges; evaluate existing capacity for responding to the known and emerging shocks and chronic stresses facing the city; and identify Focus Areas for further investigation during PhaseïII. 67ïstakeholders were engaged in the process. 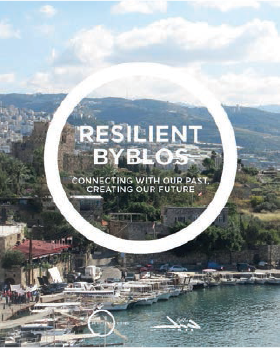 To better understand the physical, social and economic risks facing Byblos, we carried out a Resilience Diagnostic where we have developed diagnostic questions to further research our Focus Areas to identify opportunities that the city can take to improve its resilience. The group of all the opportunities is the Field of Opportunities. To prioritize the Field of Opportunities using the Resilience Lens, to a list of resilience building actions. To develop an integrated strategy that underpins the city’s vision, goals, and actions. 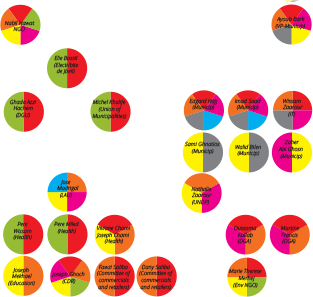 The strategy comprises the work that the city team has done to date. The strategy sets out the vision for our city, the challenges, the strategic pillars, goals and actions to pursue and achieve this vision. We believe that local ownership of the strategy is critical to its long-term adoption and success. To guarantee that outcome, we’ve made sure to include city stakeholders from a variety of disciplines and backgrounds including the municipality, private sector, academic community and NGOs. 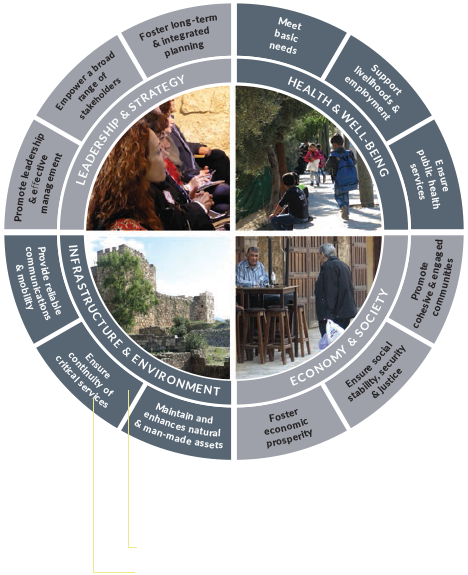 Phase I of the strategy process aimed to produce a vision for resilient Byblos based on assessments of the current state of resilience in Byblos and the challenges and opportunities facing the city. Working with our academic partners from LAU, alongside stakeholders from the Advisory Group, and a range of other public and private sector groups. We explored how current and future shocks and stresses could affect the city and identified which assets are already providing resilience as well as those in need of strengthening. At the end of Phase I, we identified 5 Focus Areas which went on to form	the basis of the final Resilience Strategy. 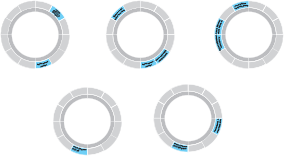 In Phase II, we delved more deeply into the opportunities identified in Phase I, using the Resilience Lens tool to prioritize opportunities based on how, and to what extent they contribute to resilience over the short and longer terms. From this we produced a number of actions to be carried forward and practically implemented – these are the main output of the strategy document. 1A CONNECTED CITY THAT PIONEERS INNOVATIVE AND INCLUSIVE URBAN SOLUTIONS. 2A RESOURCE EFFICIENT CITY THAT OPTIMIZES ECOSYSTEM SERVICES. 3A PEACEFUL CITY THAT EMBRACES AND PROMOTES SOCIAL COHESION AND CULTURAL DIVERSITY. 4A CULTURAL CITY THAT PROTECTS AND HONORS CULTURAL ASSETS, TRADITION, AND LOCAL IDENTITY. Historically, Byblos was a small coastal town, with 2,000inhabitants. It was a human scale city, low rise, and compact, with a balance of open space. 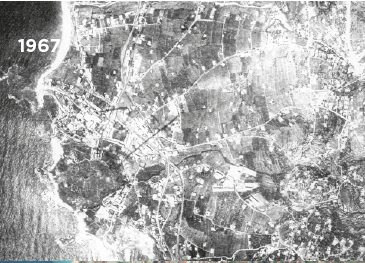 The city itself consisted of a small fishing harbor that was the regional and commercial hub for the caza. The Old City remains at this human scale, but the wider city has expanded to accommodate the growing population. The city expanded up the hills in an uncontrolled and unregulated pattern of development with less community focus, which has led to a reduction in social cohesion and interaction, and a loss of accessibility around the city. Urban sprawl has affected both the physical and social structure of the city. Today, the city is fragmented; a major road cuts the city in half, and part of the infrastructure cannot cope with the network demand of travel. This is due to the reliance on the car as mode of transport. Improving accessibility and linkages around the city is a particular challenge. Byblos’ rich archaeology is nothing less than an open air museum, with sites and artefacts dating back to the early days of the city. Fishing, crafts and other traditional businesses are being replaced by more profitable activities. Cultural customs and traditions are being diluted or forgotten due to lack of education, youth migration, and changing demographics. If this erosion of cultural heritage is not curbed, Byblos will lose the reason why so many visitors are attracted to the city in the first place. For Byblos, preservation of historical assets and culture, and revival of customs and crafts is an important aspect of resilience. Byblos is a city rich in natural heritage, which includes a diverse coastline, river valleys, beaches, orchards, agricultural land, and the surrounding hillside woodlands. These features contribute to the beauty of the city and its setting, and offer valuable services. However, they are under threat from urban growth and human intervention. Rapid population growth, rural-urban migration, unplanned urbanization and unregulated construction is causing encroachment of developments into river valleys and the surrounding landscape along with pollution of rivers and aquifers with waste and sewage and occasional droughts due to rising water demands. This is coupled with the absence of appropriate infrastructure such as a waste water treatment plant. Recently the situation has been aggravated by the waste management crisis in the country and in Hbaline landfill site, and the absence of a national integrated and sustainable waste management strategy. Regular power cuts have increased the demand for private generators, which are polluting our air. Protecting the environment is critical for our resilience. The ancient city had a variety of economic activities such as fishing and agriculture. Today, the economy relies mainly on tourism, retail and health. Regional unrest, migration of young people (brain drain), shifting economies, growing unemployment and the decline of traditional trades are having an impact on the economic prosperity and resilience of the city, and its attractiveness to investors. Steering economic growth and economic diversity are of particular importance for our city’s resilience. 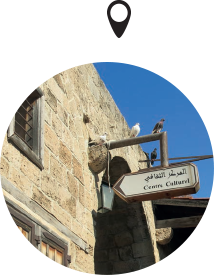 Peace has long been a characteristic of Byblos, and it remains a strong value of the city’s citizens. However, with rapid population growth, internal migration and an influx of refugees from Syria, maintenance of social cohesion is a growing challenge. 1.5 million Syrian refugees have recently sheltered in Lebanon; a country whose own population is just 4 million. The region is threatened by armed conflicts resulting from injustice, oppression, lack of freedom, radical ideologies, ruthless dictatorship and religious extremism. Regional instability is accelerating an existing economic crisis and escalating problems of unemployment. According to UN statistics in December 2014, the latest number of registered Syrian refugees in Lebanon is 1,158,995. In the caza of Byblos, the statistics compiled on the 30th of April 2015 show a total of 1,660 registered refugees in a population of 27,250. The percentage increase since the initial registrations in September 2013 compared to an estimate of a 1% yearly growth rate, is thought to challenge Byblos’ population growth rate. While the past conflicts in Lebanon have not directly affected the peace of Byblos, our environment and economy have been deeply damaged. 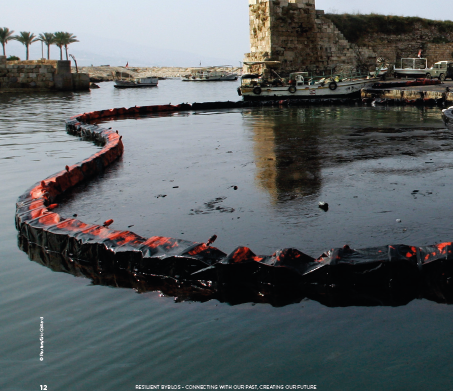 In 2006, the Old port, rocks and beaches of Byblos were polluted by a 2centimeter thick oil slick following the Israeli bombing of storage tanks at the Jiyyeh power station south of Beirut. Short term damages included severe damage to the marine life, disruption to the fishing and tourism industry, and severe stains to the archaeological remains. The longterm damage to the city’s natural environment could not be quantified.